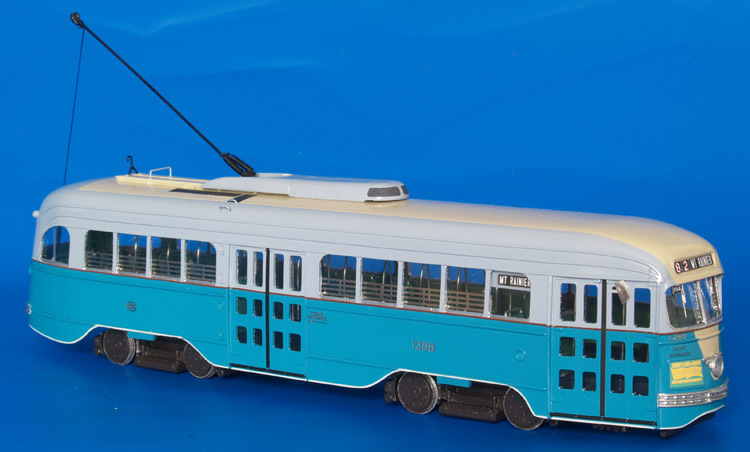 Model 1939 washington capital transit co. st.louis car co. pcc (job 1618; 1196-1233 series) -"as delivered" livery. 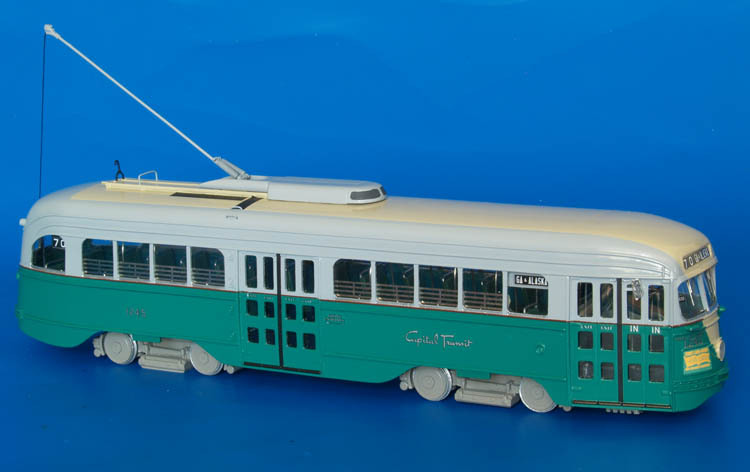 1939 Washington Capital Transit Co. St.Louis Car Co. PCC (Job 1618; 1196-1233 series) -"as delivered" livery. 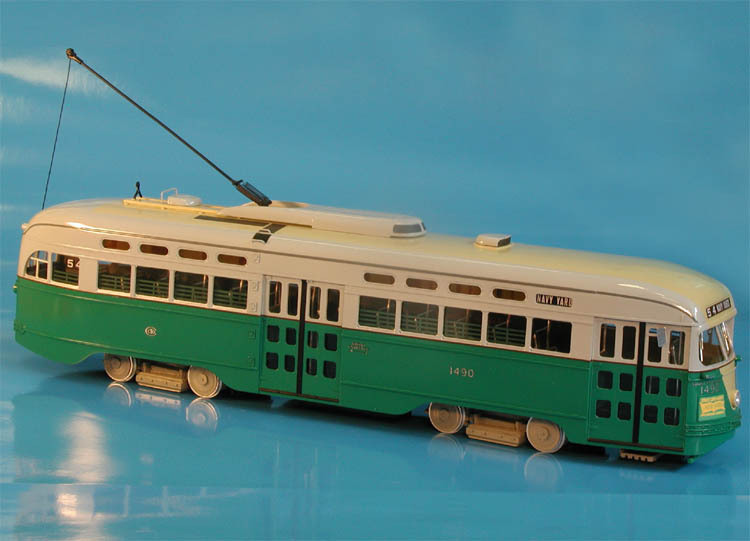 Original livery of the Capital Transit air-electric PCC cars was a standard one-man car livery introduced by the 1000-series. 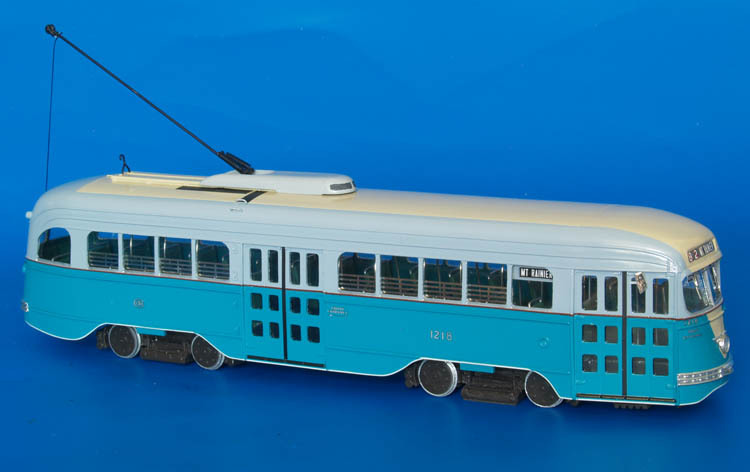 The colors were close to the post-war version, but the lower color was an 'electric blue' (turquoise) and gray color had more blue. The St.Louis Car Co. factory paint job was distinquished by some minor details: the beige 'V' extended to below the headlight and the brown stripe was carried accross the 'V'. The anticlimbers and headlight wings were chromium plated. There was a medium gray border along the bottom edge of the skirting. The interior colors were two-tone green with cream ceiling. 1940 Washington Capital Transit Co. St.Louis Car Co. PCC (Job 1622; 1234-1267 series) - as refurbished in 1947-49. 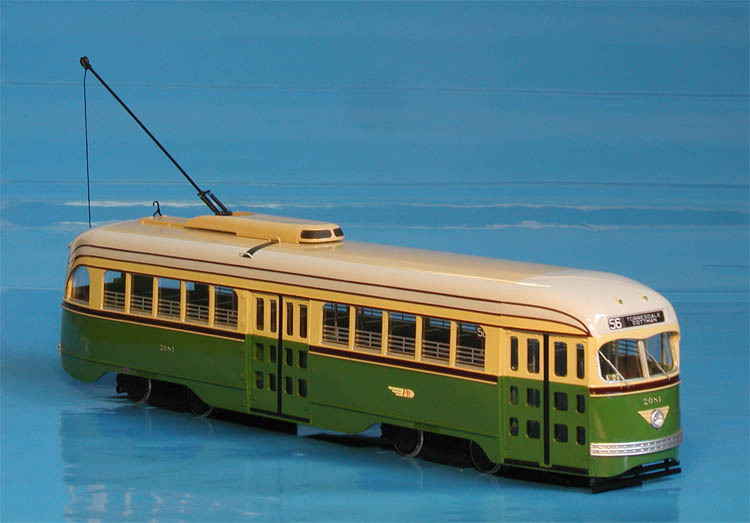 1942 Philadelphia Transportation Co. St.-Louis Car Co. PCC 2081-2090 series (A-42 class) - "as delivered" livery. 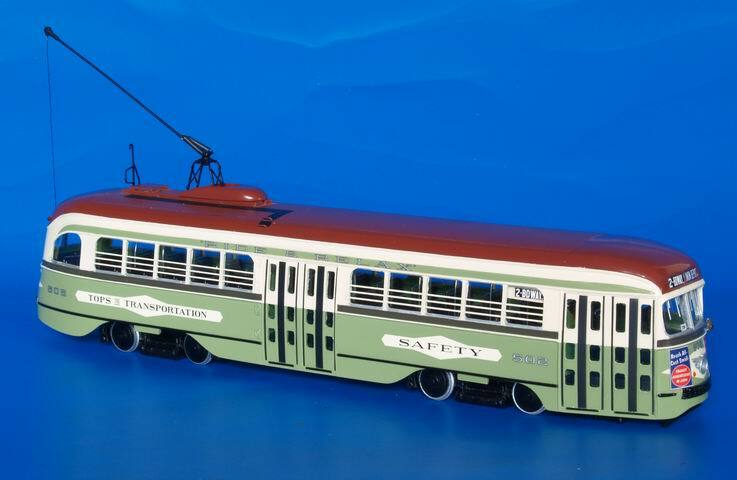 1937/38 San Diego Electric Railway St.Louis Car Co. PCC (Jobs 1605 & 1611; Class 6 501-528 series). 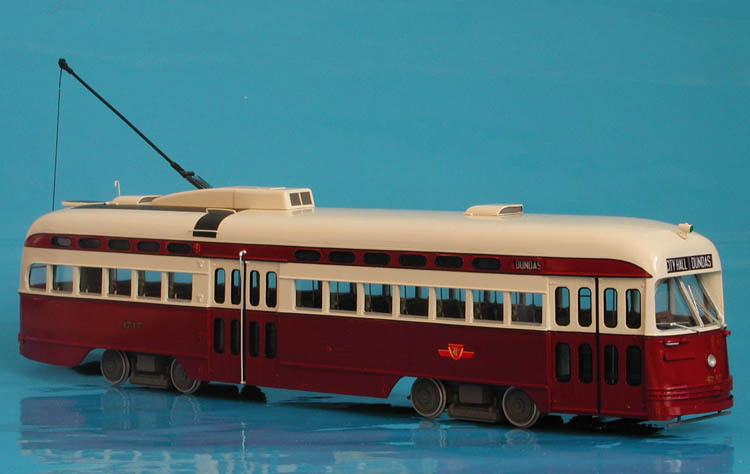 1947/53 Toronto Transit Commission Pullman-Standard PCC (Order W6777; A-13 class; 4700-4747 series; ex-Birmingham, acq. in 1953) - mid-60s livery.